Manchester City are about to host Stoke City aiming at continuing with their excellent results before the latest international break, but Pep Guardiola couldn’t avoid answering a Mauricio Pochettino-related question, after the Tottenham manager said he found one of his comments ‘disrespectful’. 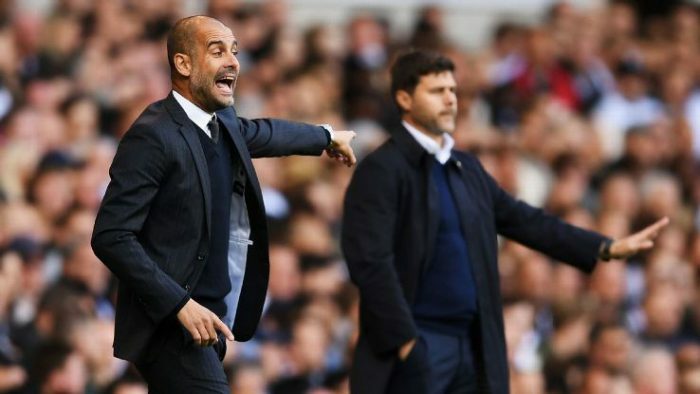 the Man City manager said, after shaking his head in disbelief, when he was informed about Pochettino’s remark. the Catalan said, explaining why he referred to Tottenham as ‘the Harry Kane team’ some time ago, a line that the Spurs’ manager found offensive. Guardiola also said, looking very disappointed at being ‘accused’ of disrespecting a team, any team, especially one he considers a Premier League title rival.